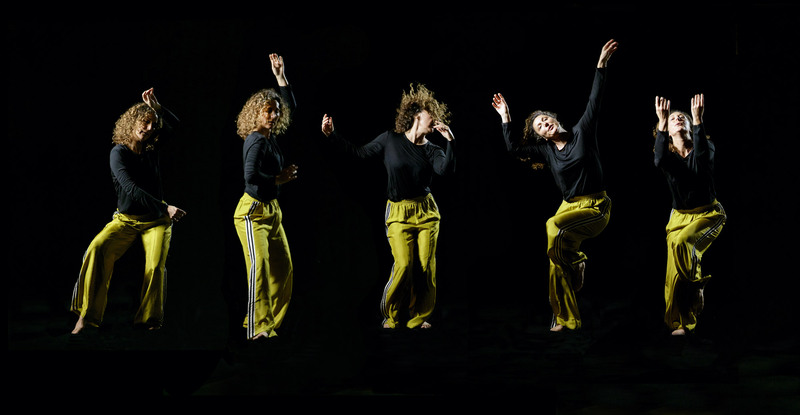 5Rhythms® is a Conscious Dance practice created in the Unites States in the seventies by Gabrielle Roth. The fundamental principle of this practice is that if you move your body, your mind can be healed. In each lesson we dance a wave that goes through five rhythms, each is linked to a natural element, to a specific energy, to an emotion, to a phase of life, to a quality. During this wave everybody can reach one’s own climax and then goes down into peace and meditation. The music changes at each rhythm and leads us through this journey where the body speaks, sweats, expresses itself, frees itself, goes in ecstasy, lands and finds peace. It heals. Each rhythms is interpreted by individuals in uniquely personal way, opening them to a new sense of freedom and possibility that is both surprising and healing. Gabrielle Roth, the incredible founder, wrote many books and created community all around the world. Today, his sun, Jonathan Horan, is honoring her mother, guiding the 5Rhythms. In order to enter into each rhythm Gabrielle Roth suggests us to use the doors of our body that facilitate the journey. During the Flowing we follow our feet, during the Staccato we move our hips and chest, in the Chaos we loose our head, in the Lyrical we go high above us through our arms and in the Stillness we move our subtle soul, our hands, and we go inside deep meditation. 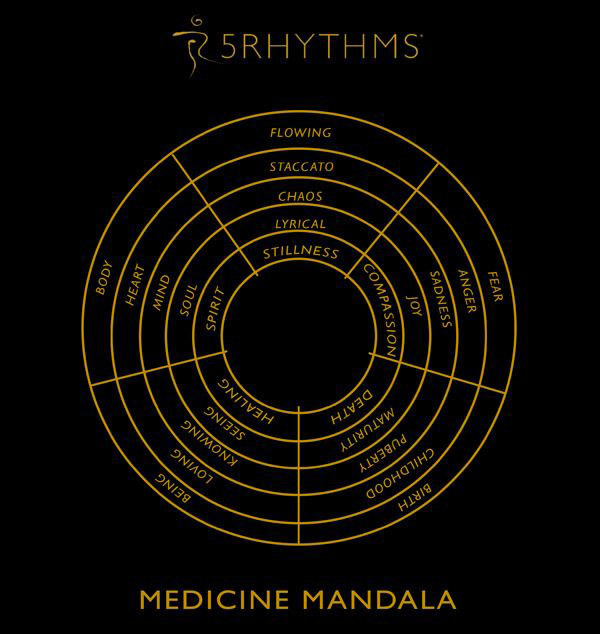 In all the 5Rhythms the movement is the practice and the medicine.